Kevin Smith Transportation Group services the entire Delaware Valley. KSTG delivers services daily in Bucks, Chester, Delaware, Montgomery, and Philadelphia counties. This includes more than 300 cities, towns, boroughs, and townships. One of the places you will regularly see a KSTG vehicle is Phoenixville, PA. Originally called Manavon, Phoenixville was settled in 1732 and incorporated as a borough in 1849. In its industrial heyday early in the twentieth century, it was an important manufacturing center and it was the site of great iron and steel mills such as the Phoenix Iron Works, boiler works, silk mill, a match factory, and the famous (and now highly collectible) Etruscan majolica pottery. Like many American towns and cities, Phoenixville owes its growth to its waterways. It is not only situated on the broad Schuylkill River, a historic thoroughfare to Native Americans and early settlers alike, but it is bisected by the fast-flowing French Creek, which was quickly harnessed for water power. KSTG’s fleet of Sprinters and Mini Buses can be seen every morning and afternoon supporting their corporate clients who require shuttle services. The first nail factory in the U.S., the French Creek Nail Works, was established in Phoenixville (then called Manavon) in 1790. In 1813, a bridge builder, Lewis Wernwag, became part owner and renamed it the Phoenix Iron Works. In 1840, new owners added a blast furnace. In 1855 a new group of owners incorporated as the Phoenix Iron Co. When the borough was incorporated in 1849, it incorporated the name of its major employer. In March 2010, Philadelphia Magazine listed Phoenixville as one of “10 Awesome Neighborhoods To Call Home“. 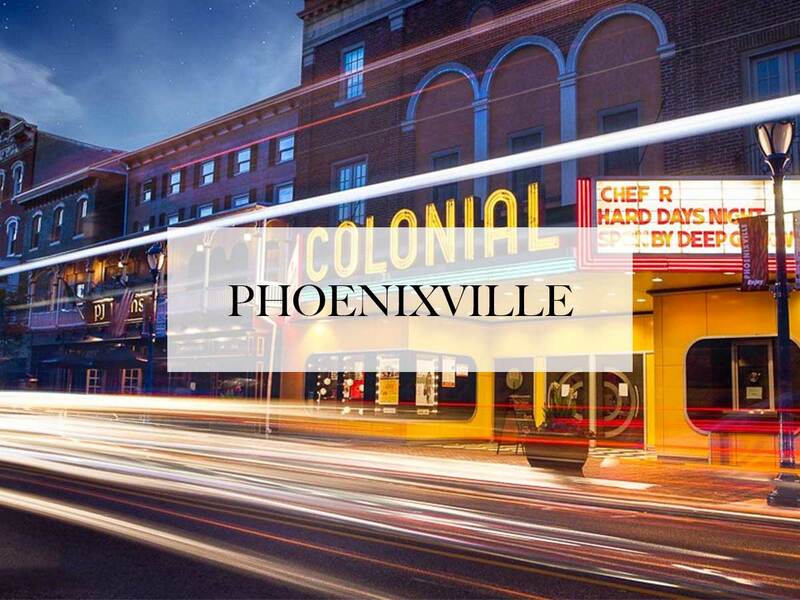 Phoenixville is home to the Colonial Theatre, opened in 1903. In 1958, the theatre, along with some other parts of the borough, was featured in the motion picture The Blob. Beginning in 2000, Phoenixville has celebrated this with the annual Blobfest. Festivities include a reenactment of the scene featuring the Colonial. Over the last few years, KSTG has had the same group rent a Party Bus to attend Blobfest, dressed up in full costume. Since 2004 on the first Friday night of every month, the downtown stores, restaurants and businesses and volunteer community groups hold special events including street musicians and entertainers and some outdoor concerts. This is referred to as “First Friday” by the locals. KSTG will run shuttles from some of the local neighborhoods to First Friday every month. Also since 2004, Phoenixville has celebrated the “rebirth” of the town with the burning of a large wooden phoenix. The bonfire at the Firebird Festival is used to harden clay birds crafted over the preceding weeks. Phoenixville is in close proximity to Valley Forge National Historical Park and the Perkiomen and Schuylkill River trails. Phoenixville is currently served by SEPTA’s Route 99 bus, which connects with the Manayunk/Norristown Line regional rail service at the Norristown Transportation Center, and the Route 139 bus, which connects the King of Prussia Mall with Limerick. Two local companies utilize the KSTG Corporate Shuttle Program to move their employees directly from their offices to the regional rail lines. Kevin Smith Transportation Group offers a variety of services in Phoenixville, PA. On the social side, a KSTG Limo or Wedding Shuttle might be seen on any given weekend. Requests for a Limo for a Night on the Town or a Party Bus to go to Philadelphia, PA for a concert or show are routine for residents of Phoenixville, PA. If someone in Phoenixville, PA is headed to the Manhattan Cruise Terminal or Philadelphia International Airport (PHL), you can be assured that a KSTG Black Yukon or Mini Bus are ready for pickup. If you run or work at one of the many successful companies with offices in Phoenixville, PA, you may occasionally have a need for some of the Corporate Transportation services offered by Kevin Smith Transportation Group. This could include Airport Transportation to more than 8 International Airports, including Newark International (EWR), Kennedy Airport (JFK) and of course Philadelphia International (PHL). Shuttle Services are also popular for companies in Phoenixville, PA, often moving employees from local SEPTA stations to company offices. In the afternoon, those same KSTG Sprinters or Mini Buses will take those employees back to the train as they head home to Philadelphia, PA. For companies that utilize Private Aviation to travel around the country, a KSTG Cadillac XTS or Black Yukon is likely to be seen across Phoenixville, PA, headed to one of more than a dozen regional airports, including Northeast Philadelphia Airport, Wings Field or Doylestown Airport. Kevin Smith Transportation Group wants to thank everyone from Phoenixville, PA for choosing us as their preferred Transportation Company. With a focus on Luxury and Service, KSTG wants to be your only choice when considering transportation for everything from a once in a lifetime Wedding celebration to needing Shuttles or Sprinters for a Corporate event. KSTG and Phoenixville, PA, working together for all your Transportation needs.